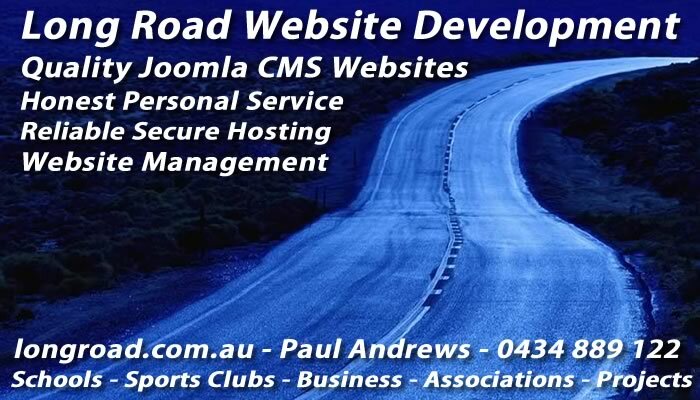 Owned and operated by former teacher Paul Andrews, Long Road Website Development has a proud history of working with schools, community organisations, unions, small and large business, sports clubs, bands and other clients who need personalised service. Paul can manage all aspects of your website development, ongoing maintenance and training. Located in Perth and Dunsborough we service clients across Western Australia and can come to you or arrange your development over the phone and email. Call Paul Andrews to discuss your requirements.